The month of May will be very busy on Dev4Press. No less than 4 plugins will get major new versions including full rewrite for GD Custom Posts And Taxonomies Tools Pro, some price changes and other updates. GD Custom Posts and Taxonomies Tools Pro was long due for a major update and a complete rewrite with version 5.0. There will be more information about this plugin, including time for beta testings before the release. Important thing is that plugin will change the name and it will include migration tools for current plugin data. GD bbPress Toolbox Pro will get 4.2 version. Focus will be on the accessibility (toolbar and other buttons that require ARIA specific markup). The new version will include more Say Thanks related updates, more statistics based features and a new set of conditional functions. GD Press Tools Pro will get 5.1 version with one new addon, improvements to the debugger, new Database panel, new information panels and more. GD Security Toolbox Pro will get 1.1 version with 3 new addons, one new scanner, and few more important changes. From May 1, 2016, some plugins will change prices. GD WebFonts Toolbox Pro and GD SEO Toolbox Pro will get lower prices. 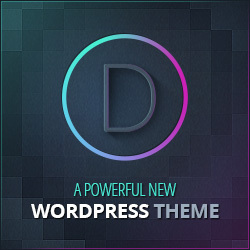 Dev4Press Plugins Pack will get the higher price. Most micro websites for individual plugins will be updated too, and some new demos are coming too. All in all, end of this month and the next month will be very, very busy on Dev4Press, so stay tuned.